And stabs and kills his mother’s boyfriend. The parents of the murder victim sue the restaurant and win $40 million dollars. Probably not the punchline you were expecting and you might be wondering how the restaurant is to blame. Well, let me give you a few more facts. The attacker was underage, but TGI Fridays sold him alcohol anyway. In fact, TGI Fridays sold him the equivalent of 12 servings of alcohol in just 30 minutes. Under California law, restaurants and bars are immune from liability from harm caused from furnishing alcohol, even to minors, unless they serve an obviously intoxicated person. In the TGI Fridays case, the lawyers for the victim family were able to show the minor attacker was obviously intoxicated. Indeed, with 12 servings of alcohol in 30 minutes, it is hard to imagine he was anything but obviously intoxicated. The jury assessed fault as 55% to TGI Fridays and 45% to the attacker. So what would be the result if this happened in Tennessee? Well, first of all, there have been similar cases in Tennessee involving Ruby Tuesdays, Hooters and others. For instance, in Murfreesboro, Ruby Tuesday was successfully sued for injuries sustained by the victim of an unprovoked attack by another patron who had been served the equivalent of 19 beers in two and a half hours without any food. Ruby Tuesday was hit with a $10 million dollar punitive damage verdict. 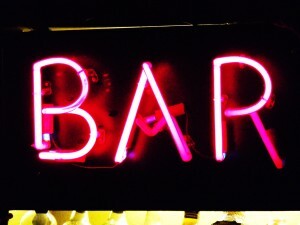 Tennessee law on dram shop or liquor liability cases allows liability to be imposed if a restaurant, bar or club serves a minor or “obviously intoxicated” person. In addition, under certain circumstances, liability can be imposed on party, wedding and other social hosts if they permit underage drinking. In both the California TGI Fridays case and the Tennessee Ruby Tuesday case, liability arose as a result of a violent attack. But, of course, liability may also be imposed if the bar or restaurant serves an obviously intoxicated person and that person leaves, gets into a DUI accident and hurts someone else. If you or a loved one has been injured by someone who was intoxicated, you may have a liquor liability claim against the bar, restaurant or club who over-served them. To discuss your case, call one of our award-winning lawyers who will review your case, answer your questions and explain your legal options for free and without any obligation. But do not delay, the law only allows you a limited time to pursue your rights. And, the more time that passes, the more likely that valuable evidence could be lost. For instance, many bars have video surveillance. The video could provide critical evidence of obvious intoxication if the person was stumbling, spilling drinks, etc. Also, the sooner you contact us, the sooner we can obtain bar receipts to show how much alcohol was served to the obviously intoxicated person and other evidence to help prove your case. Call us anytime at 615-742-4880 (Nashville) or 615-867-9900 (Murfreesboro) or 866-812-8787 (toll-free). We handle all injury cases on a contingency basis. And we handle them anywhere in the State of Tennessee. We have recovered millions of dollars for our satisfied clients and we are here to help you too.